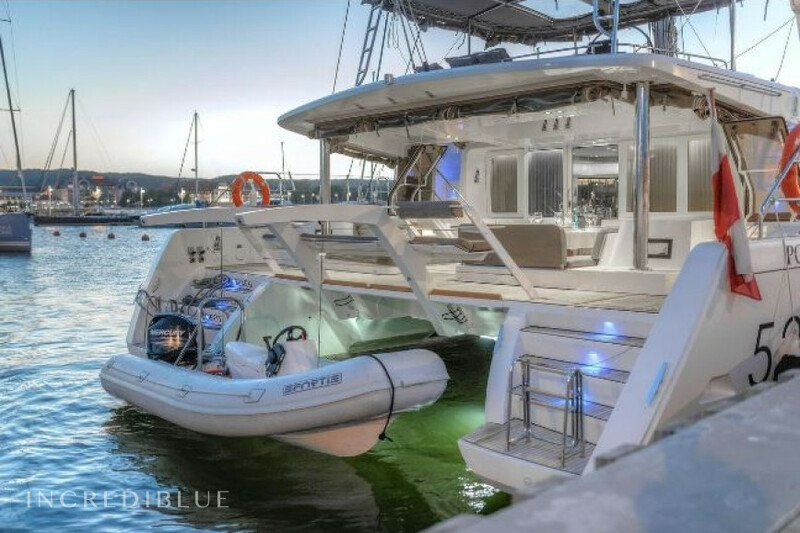 Enjoy a luxurious private charter at this magnificent Lagoon 52, brand new from 2017, available at Marina Baotić in the Trogir area. 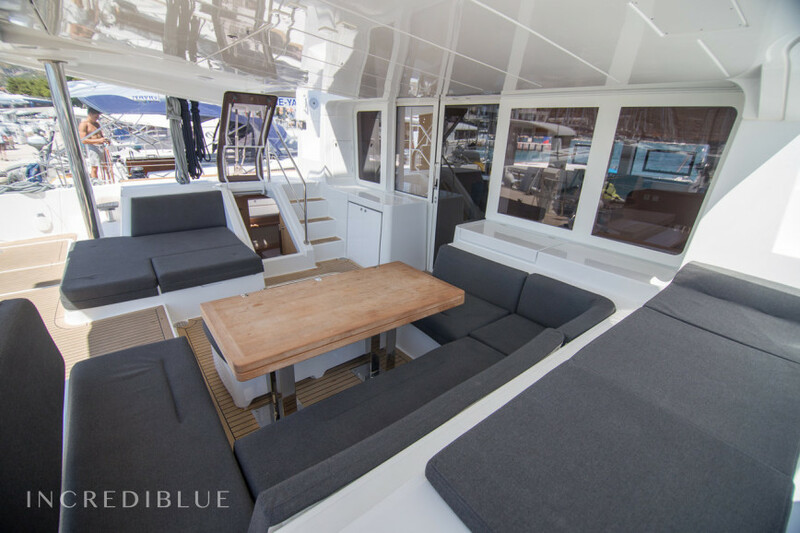 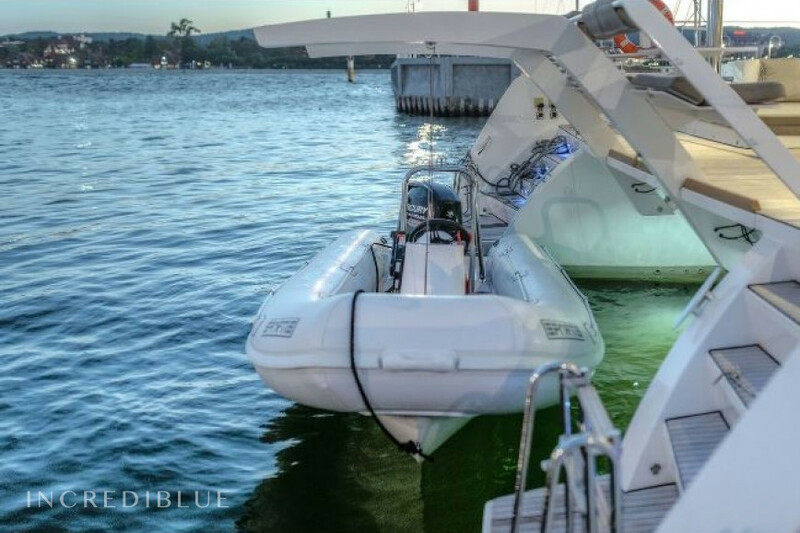 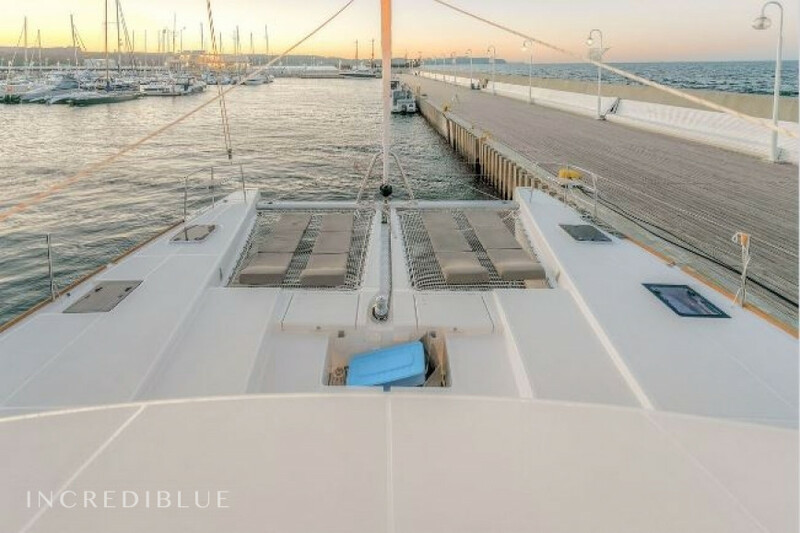 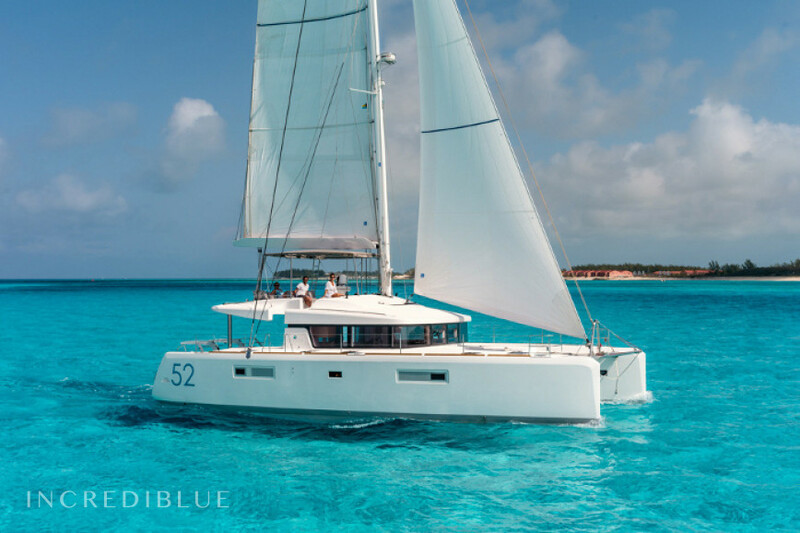 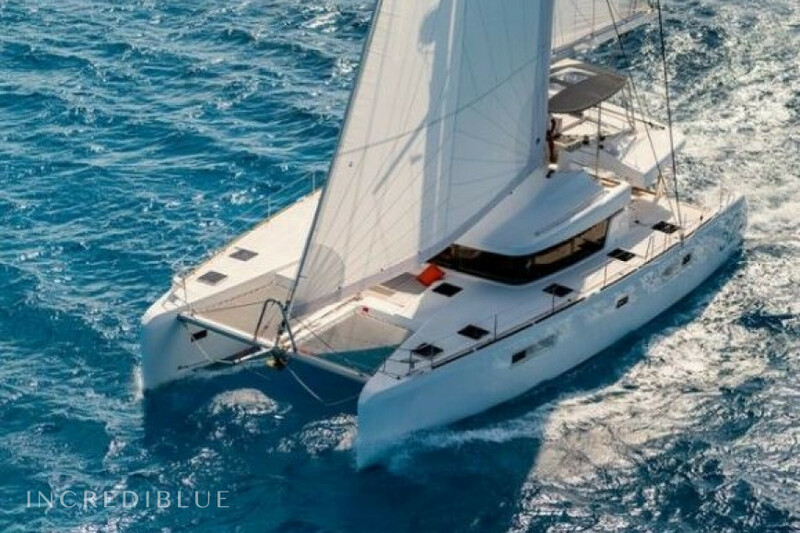 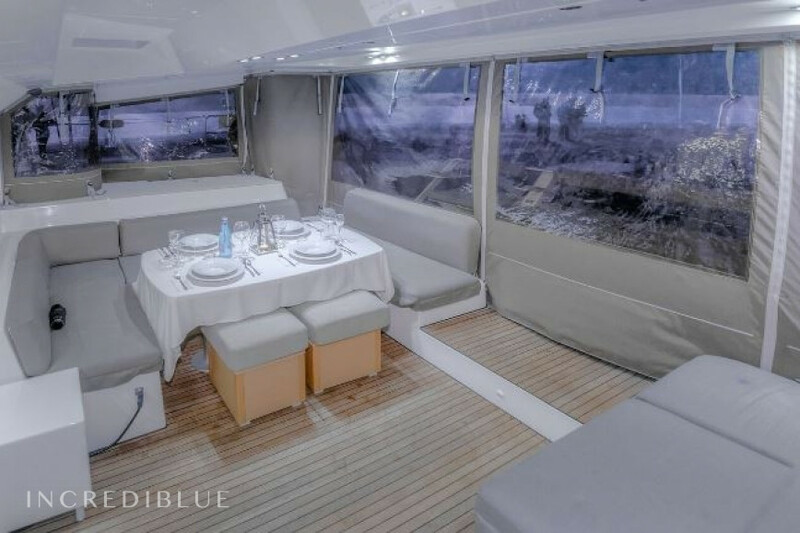 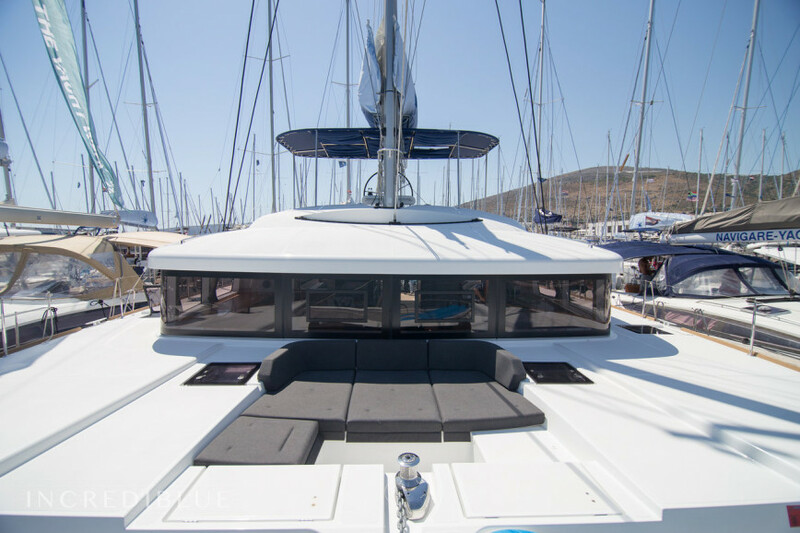 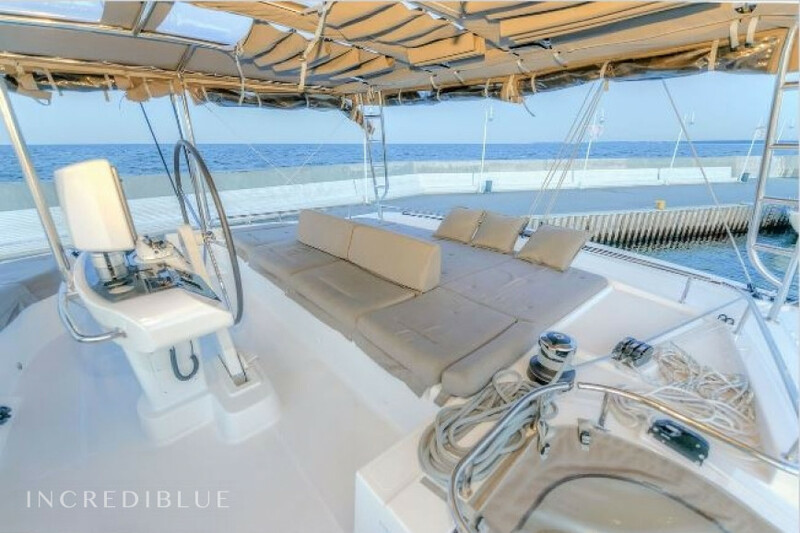 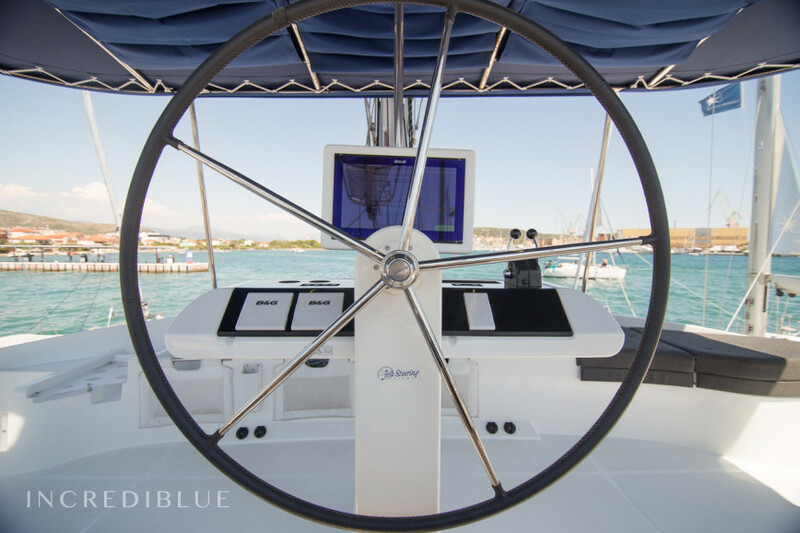 With more than 15 meters in length and 8.5 meters in width, this catamaran offers maximum comfort to its passengers, with ample spaces both inside and outside. 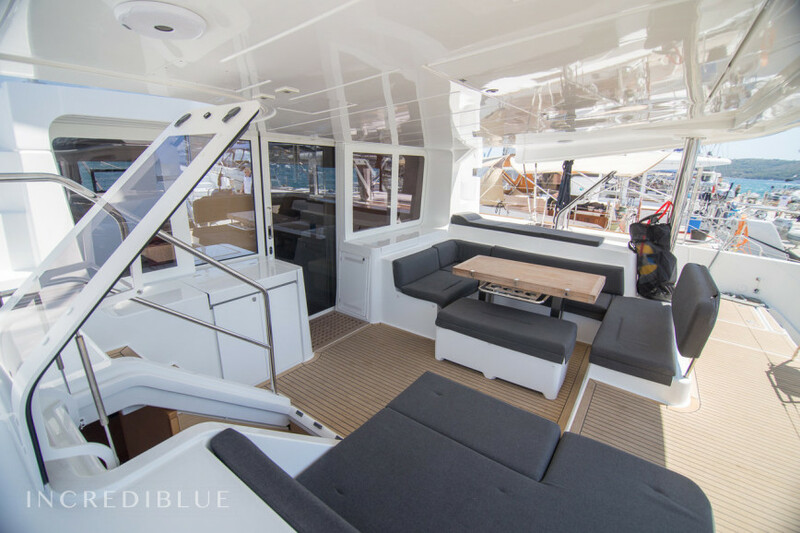 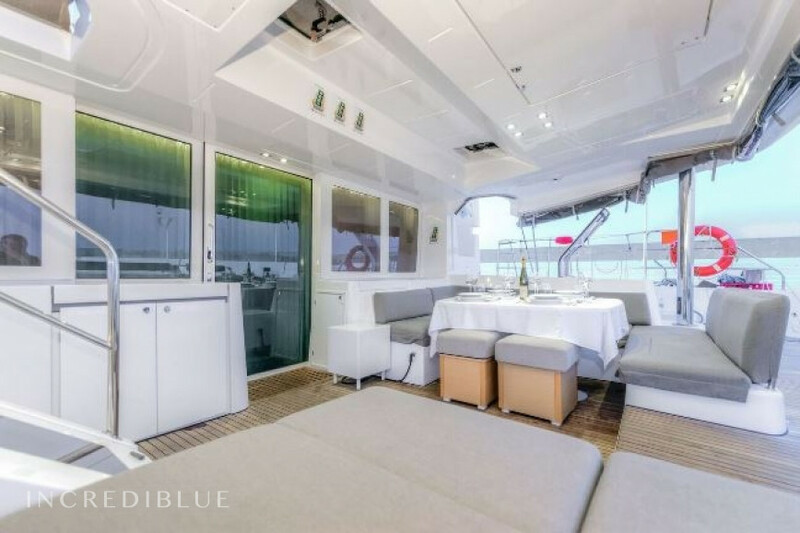 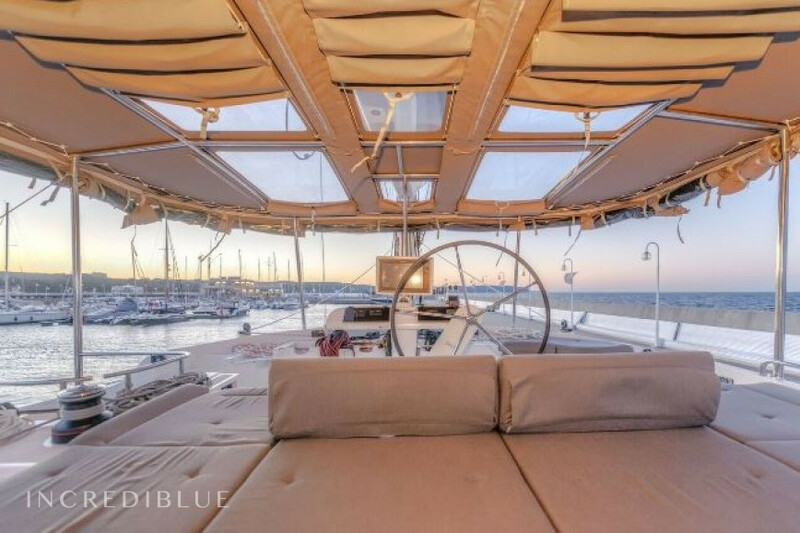 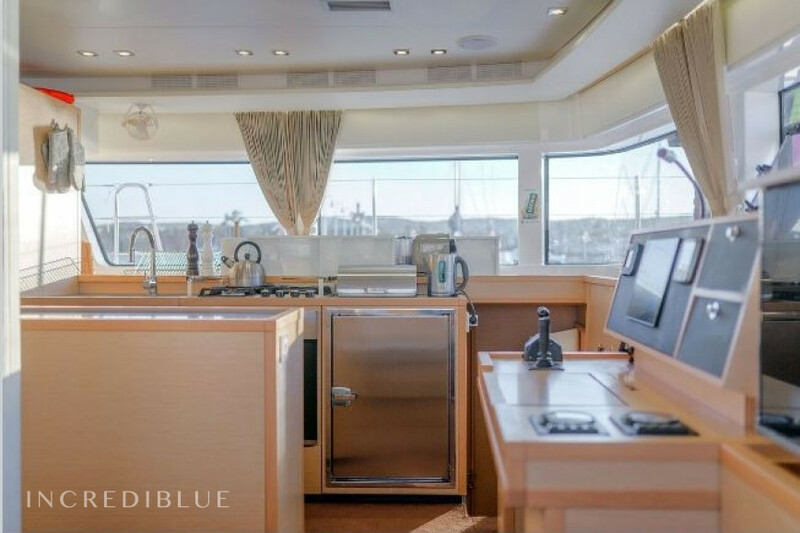 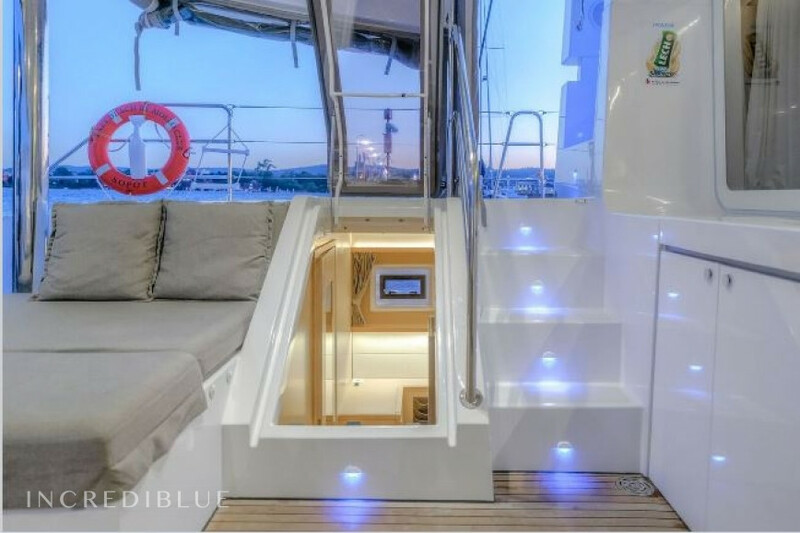 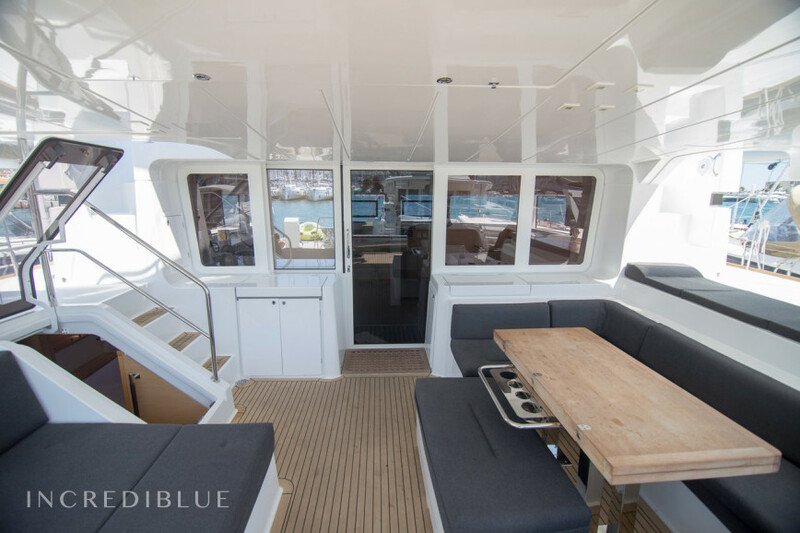 On the outside, the Flybridge is distinguished, with a spacious area for sunbathing and enjoying the Mediterranean climate. 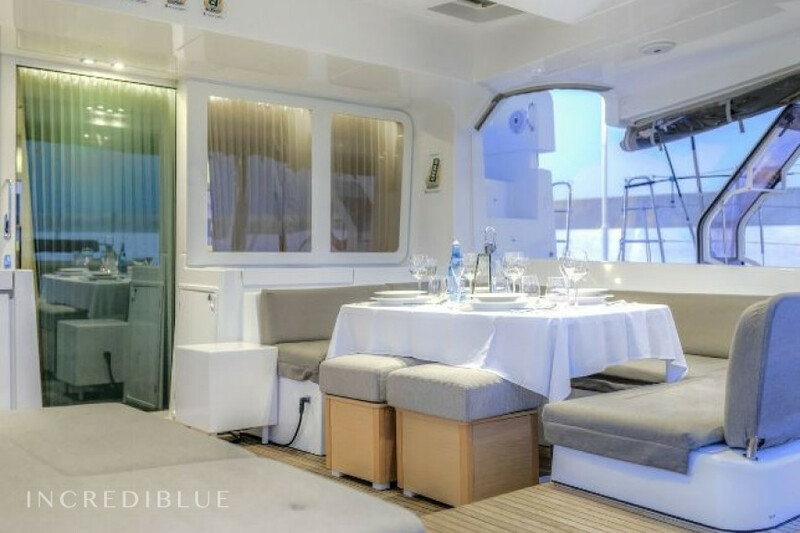 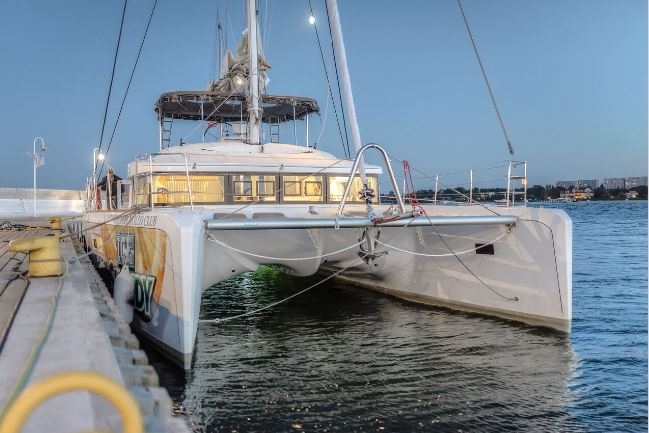 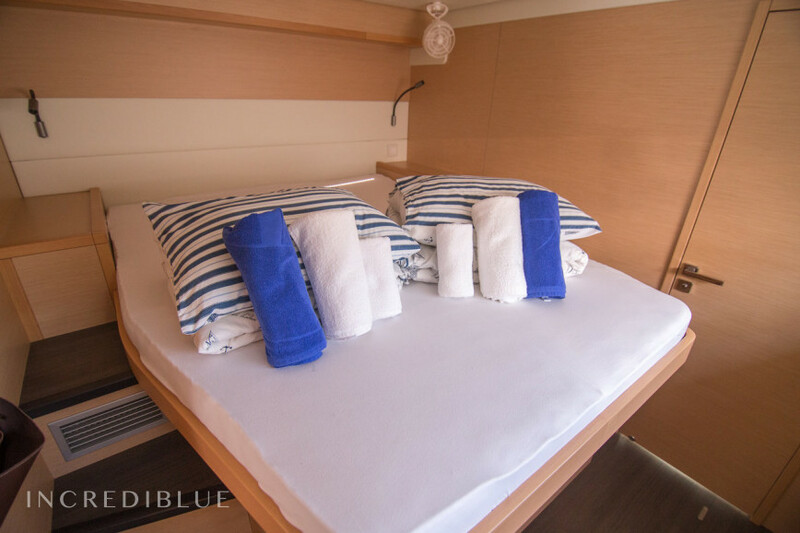 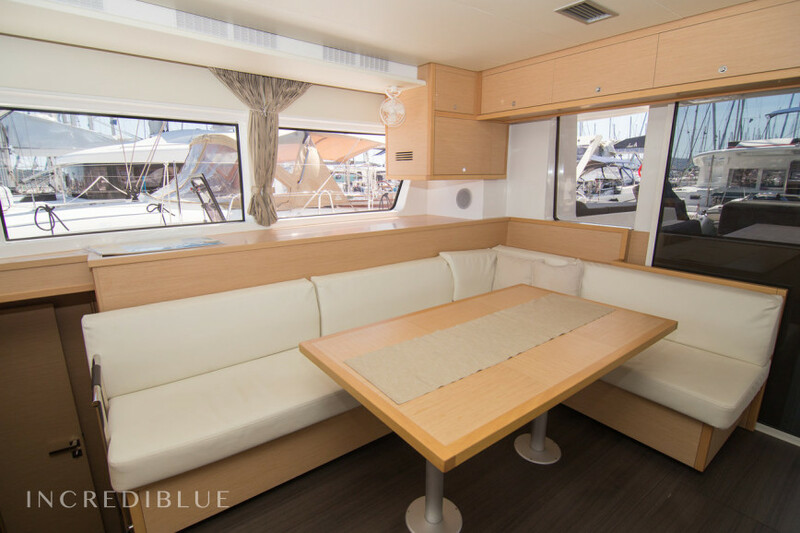 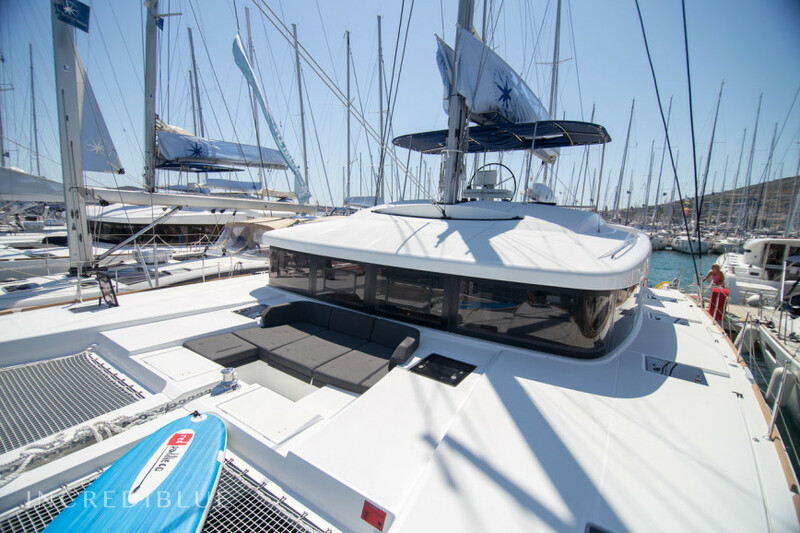 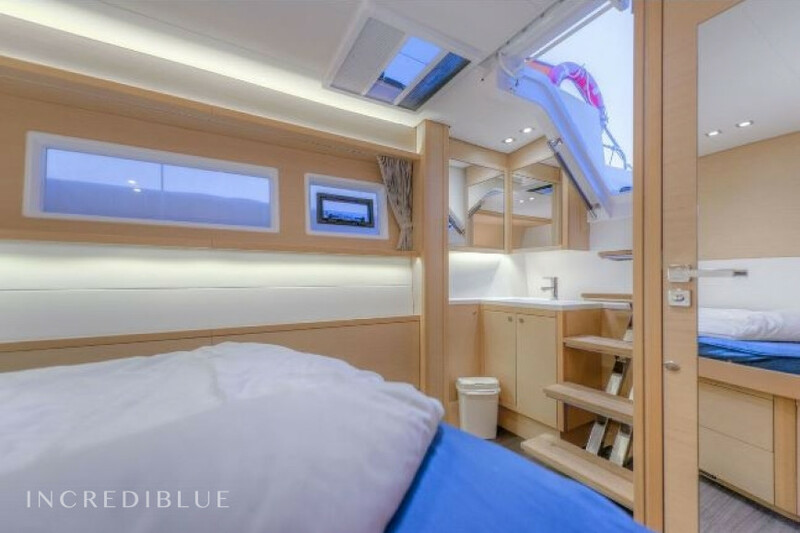 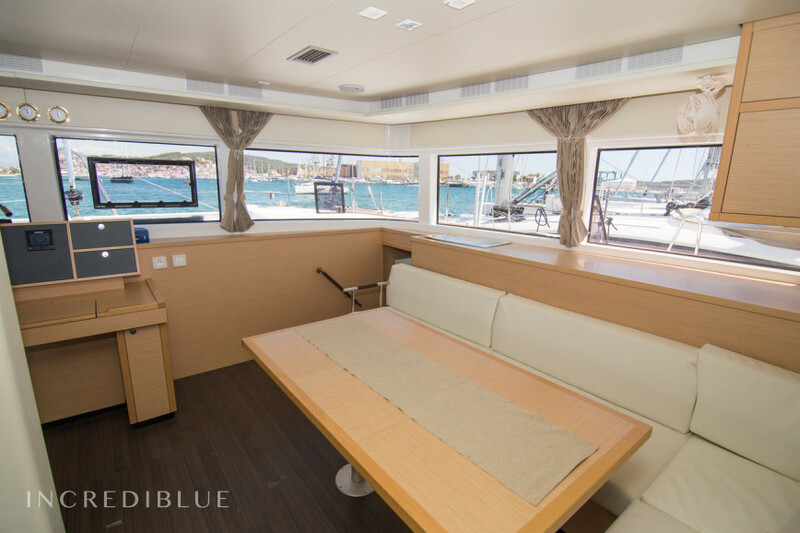 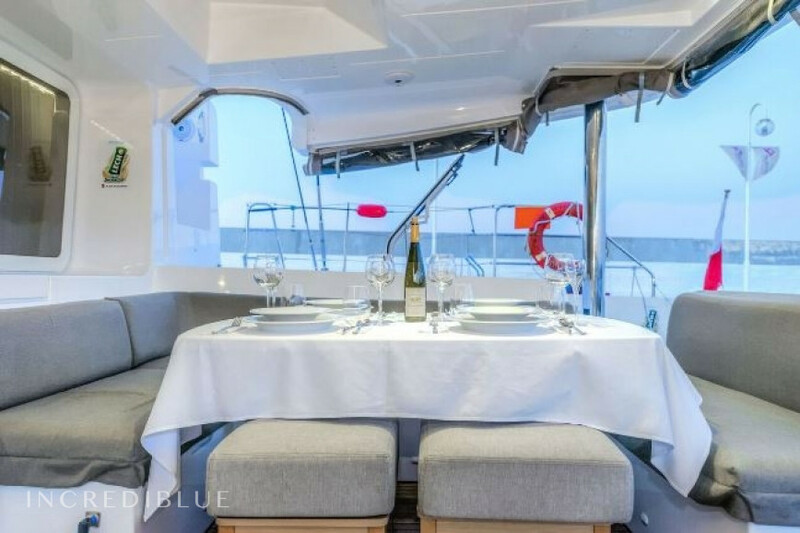 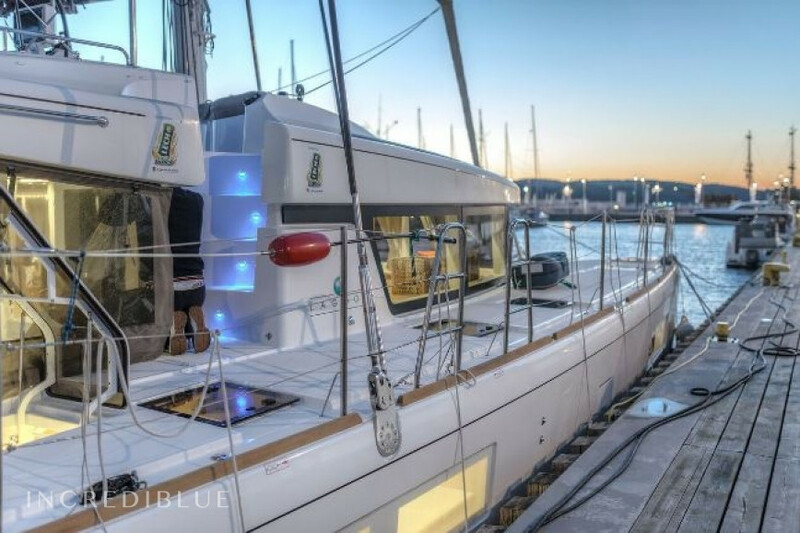 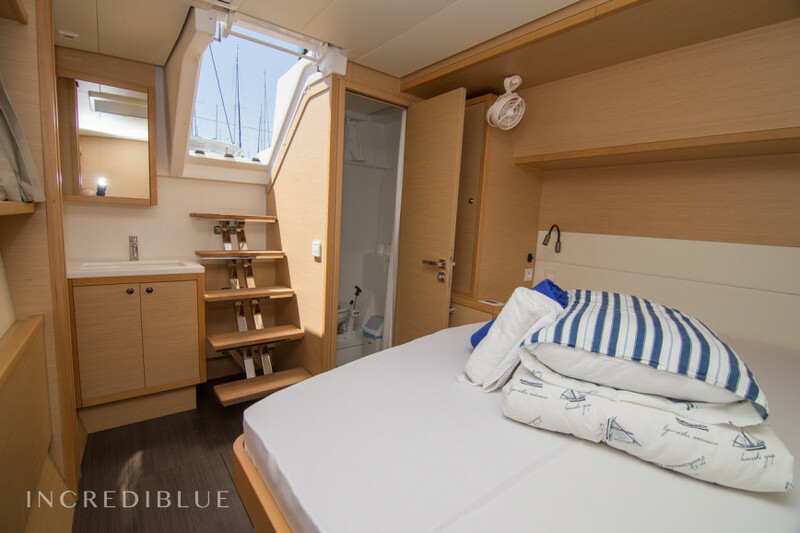 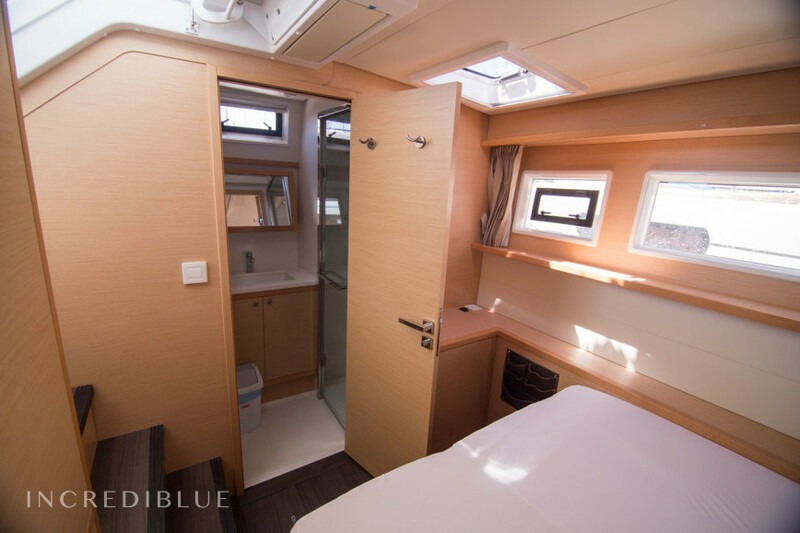 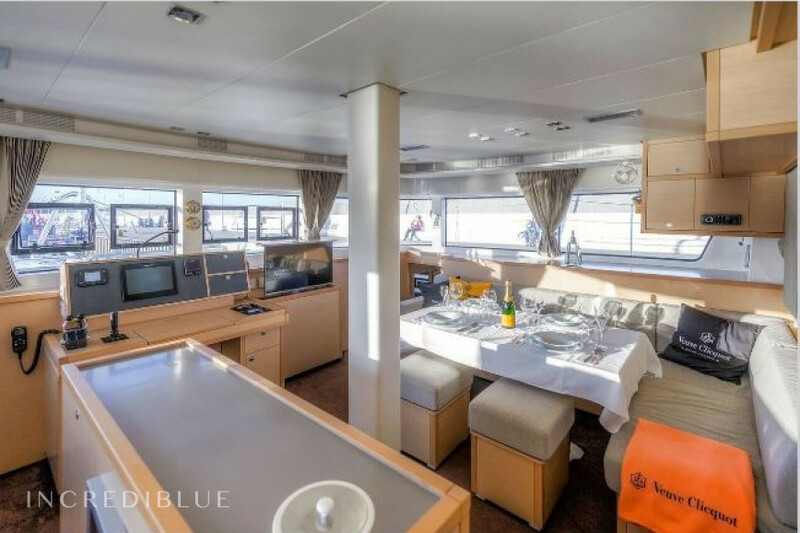 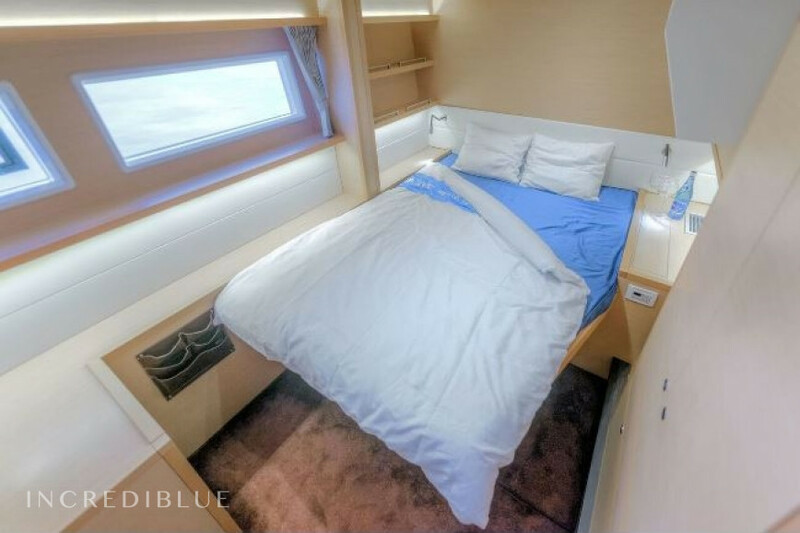 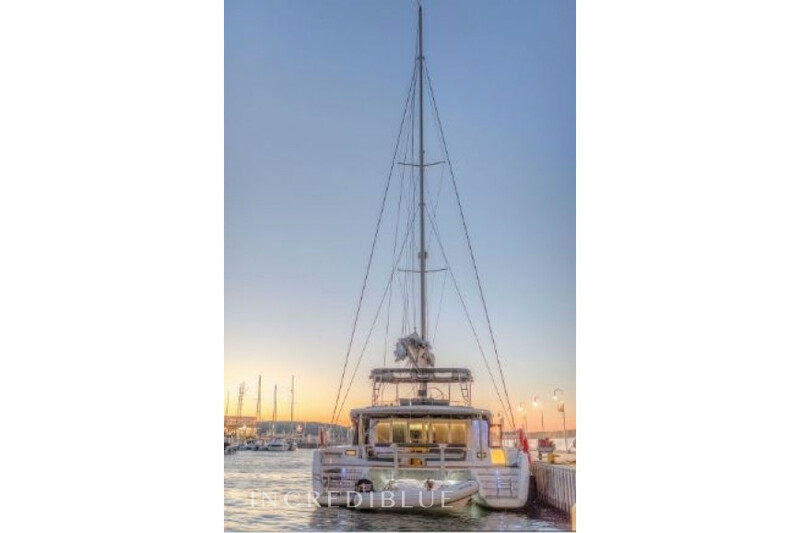 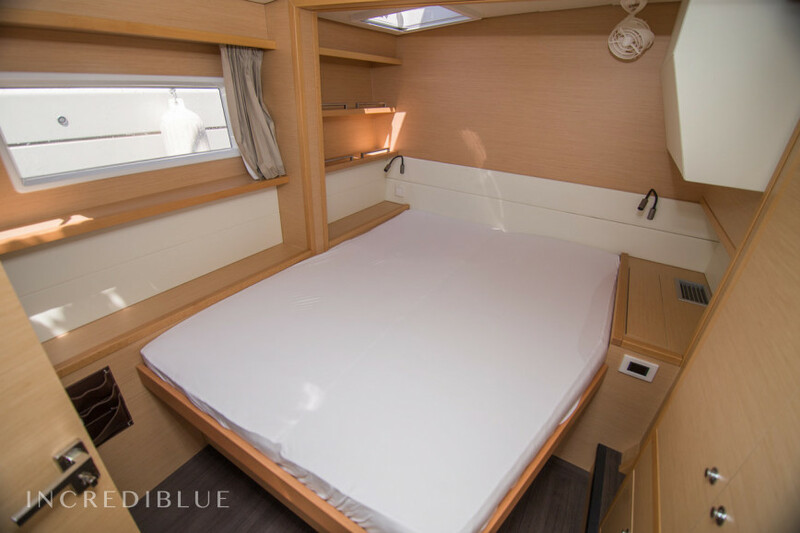 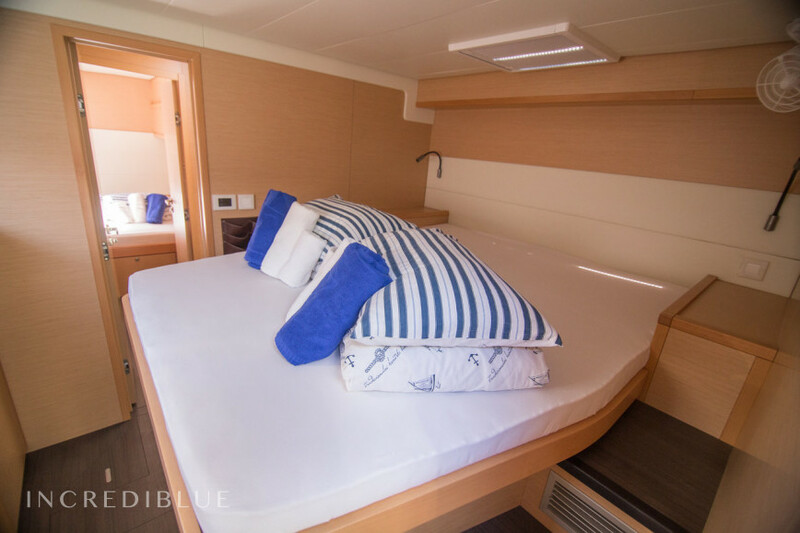 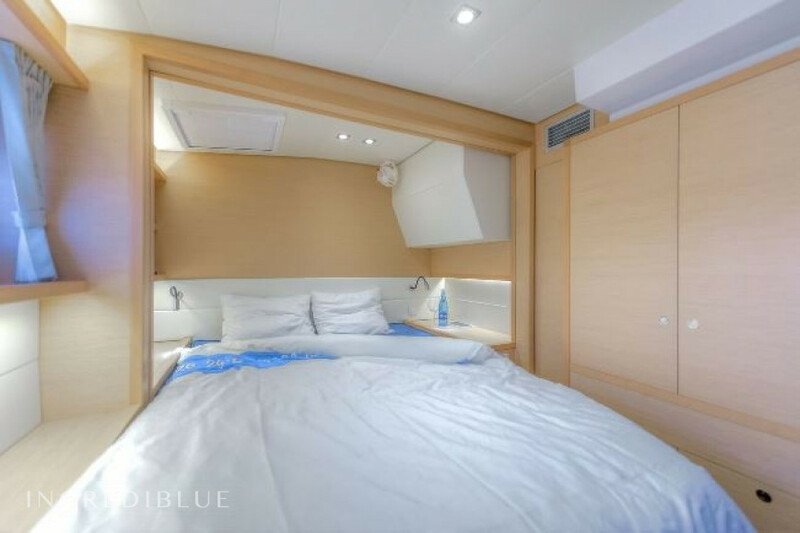 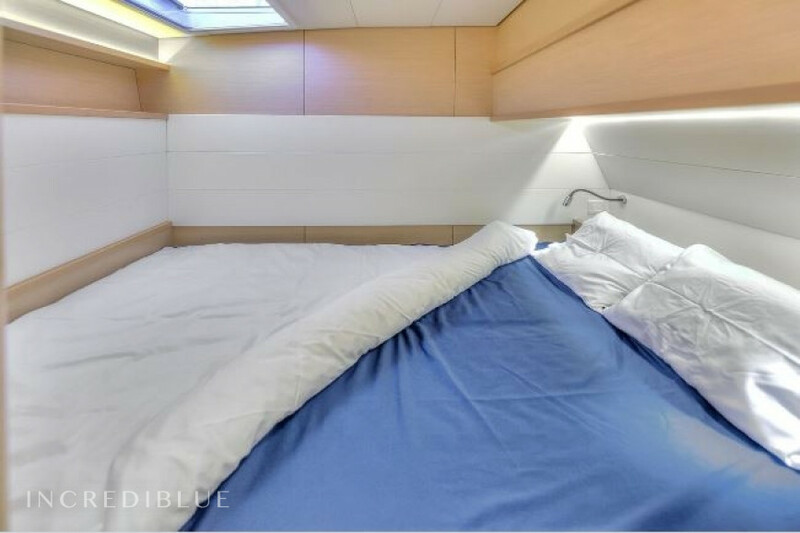 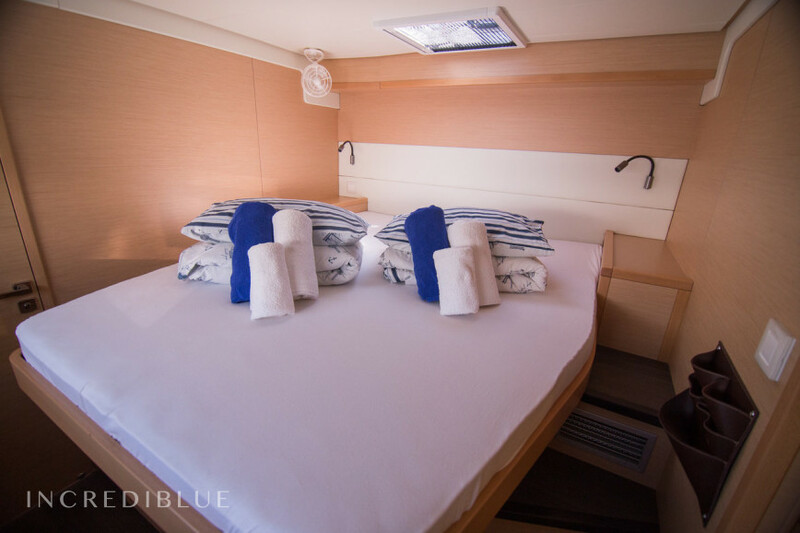 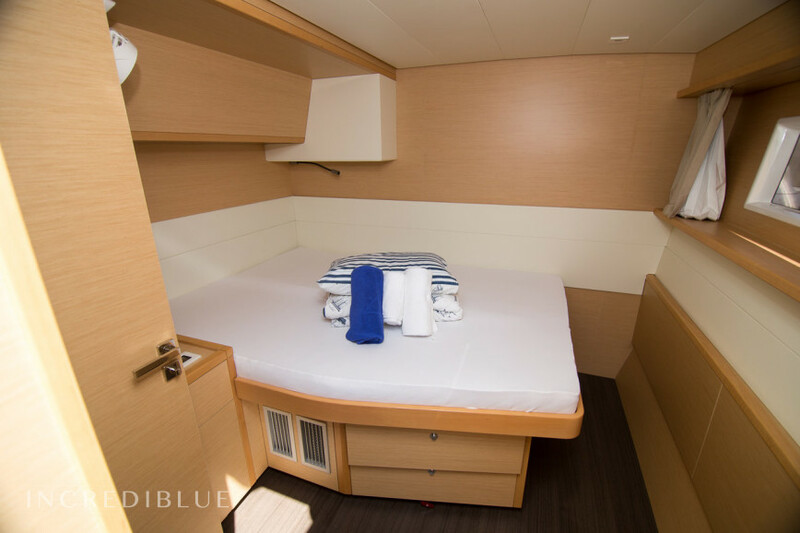 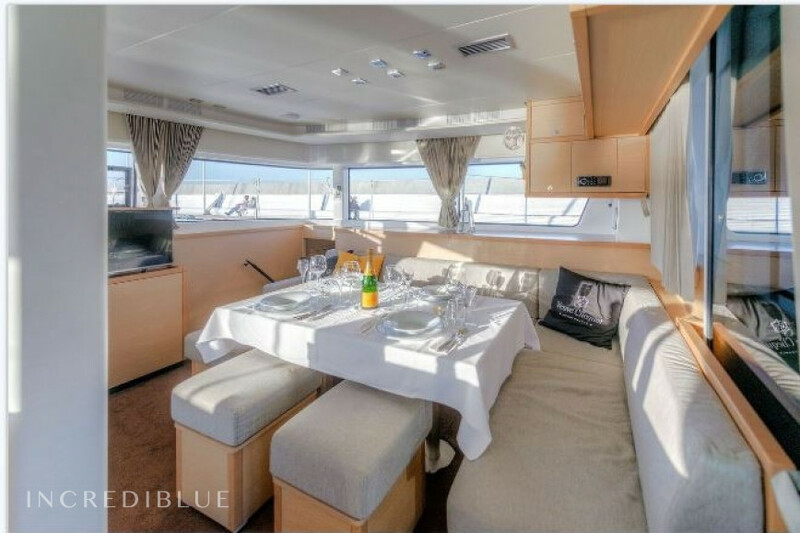 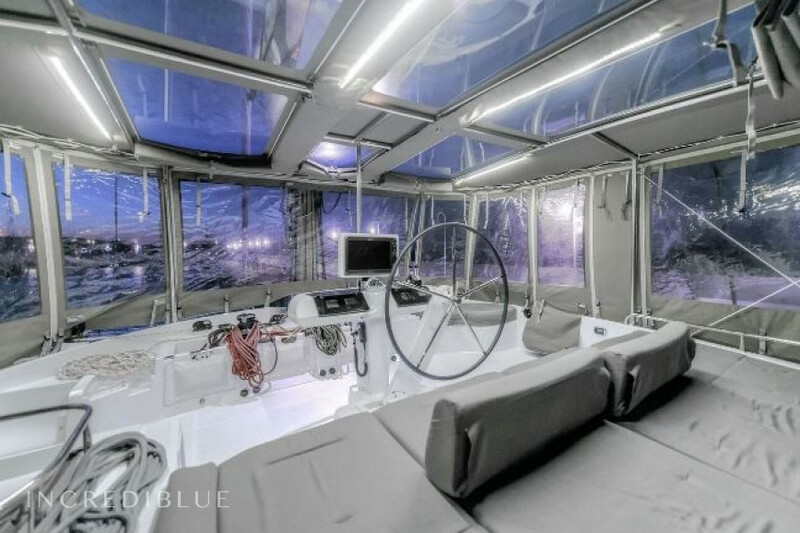 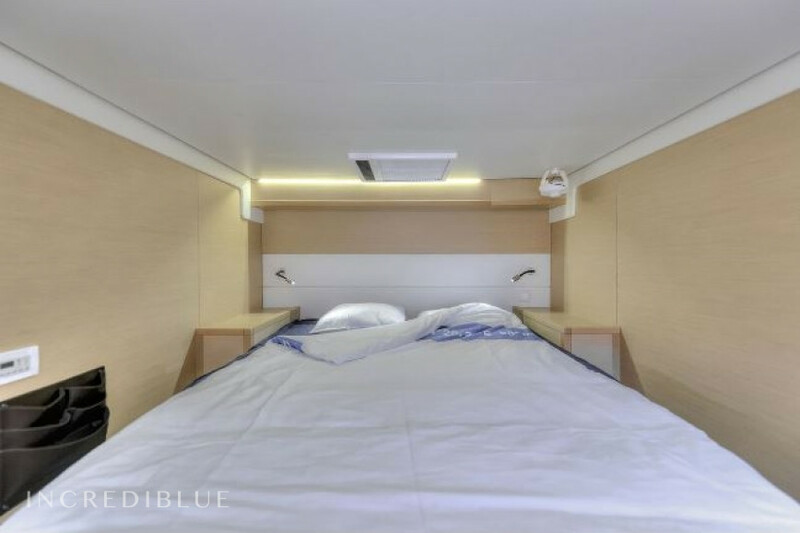 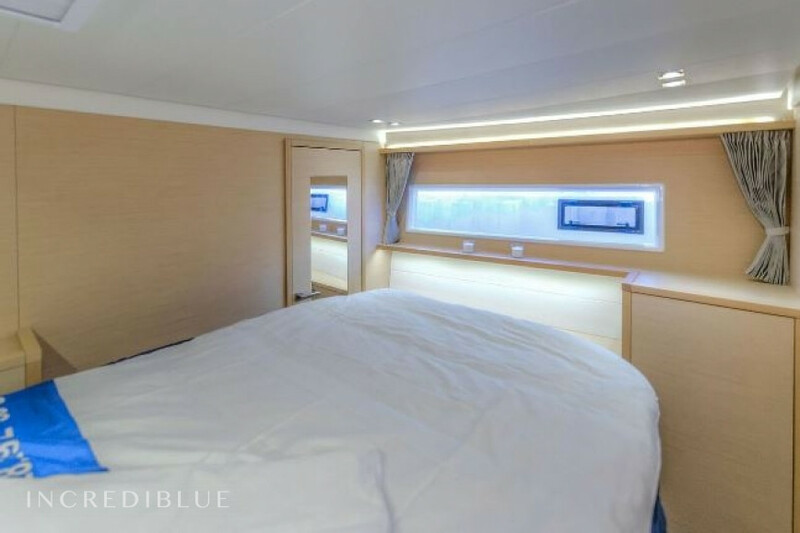 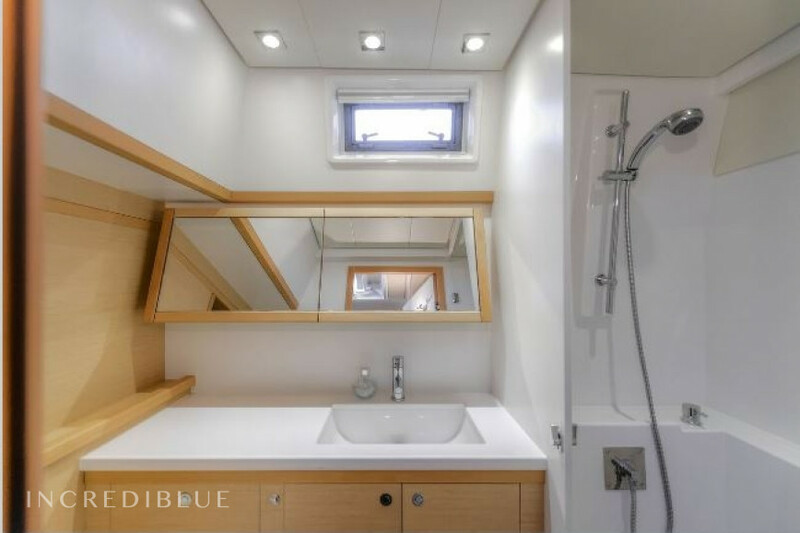 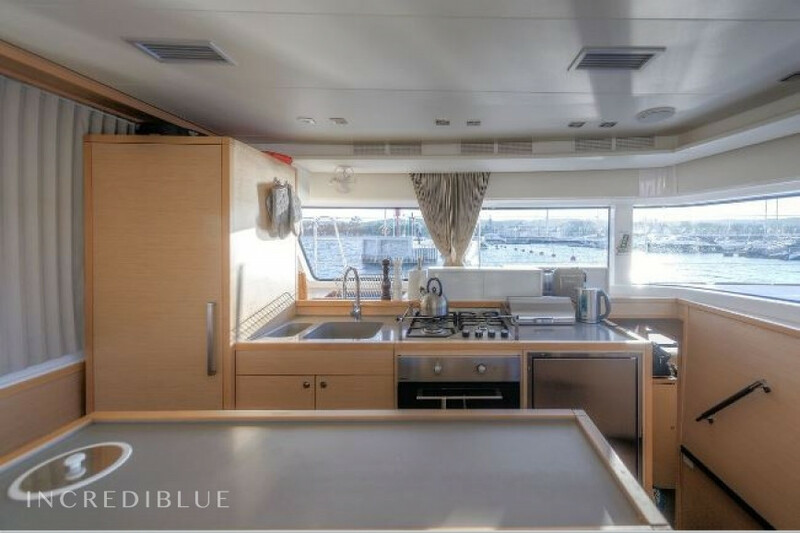 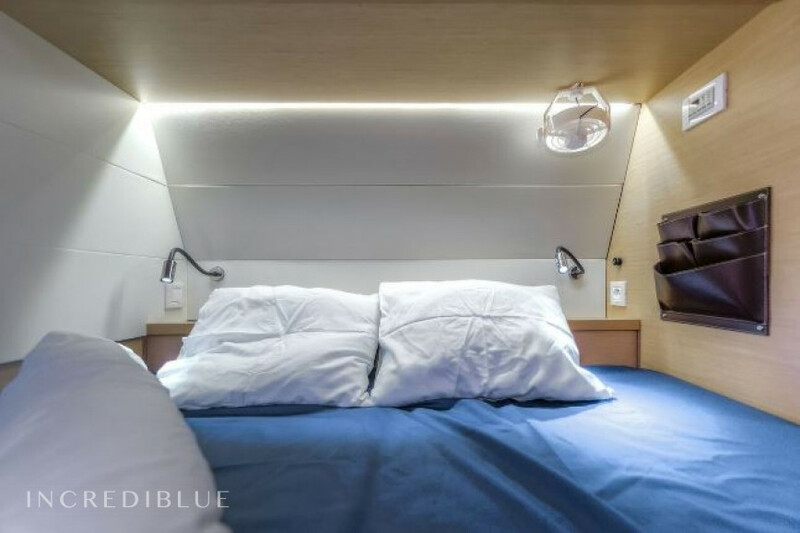 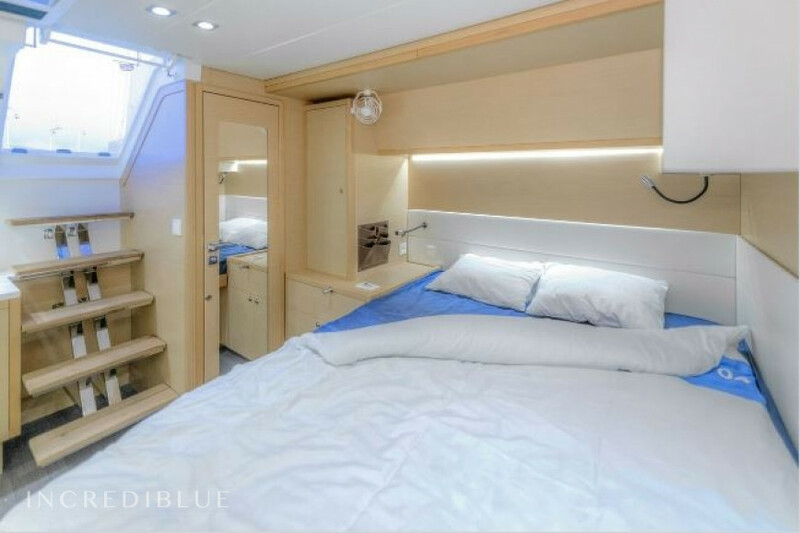 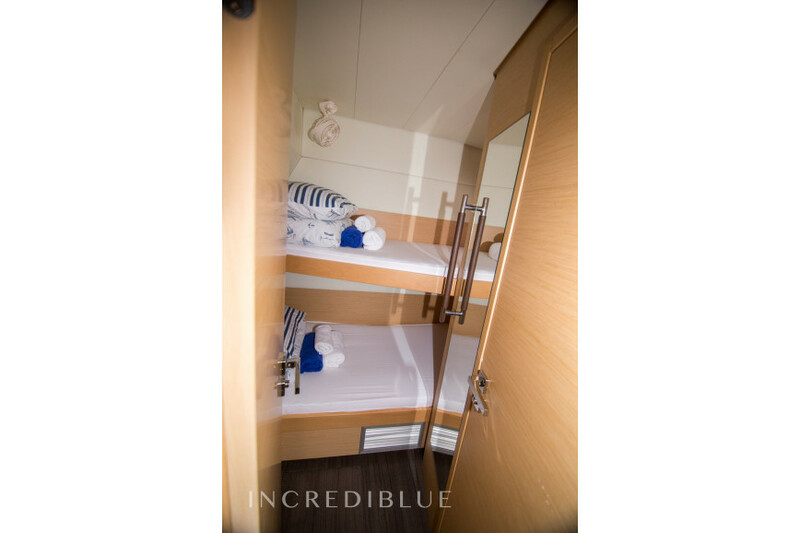 Inside, the catamaran offers a spacious living-dining room, and 6 double cabins, one of which has bunk beds, accommodating up to 12 passengers. 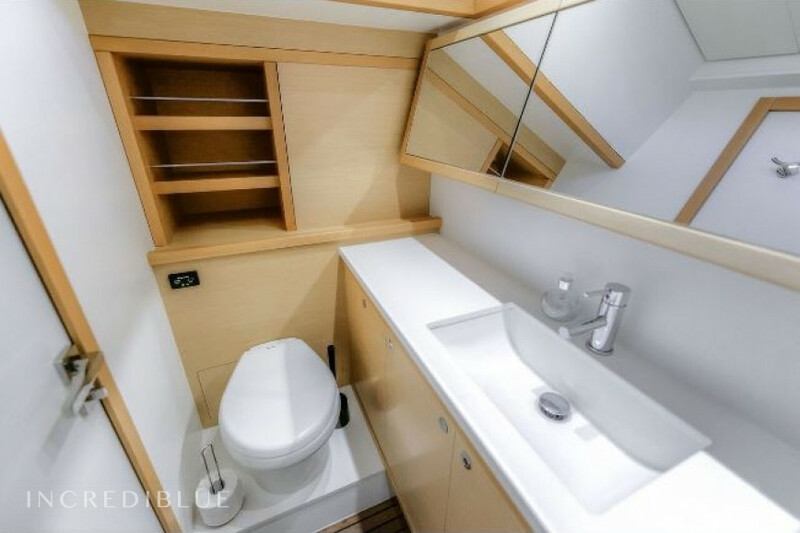 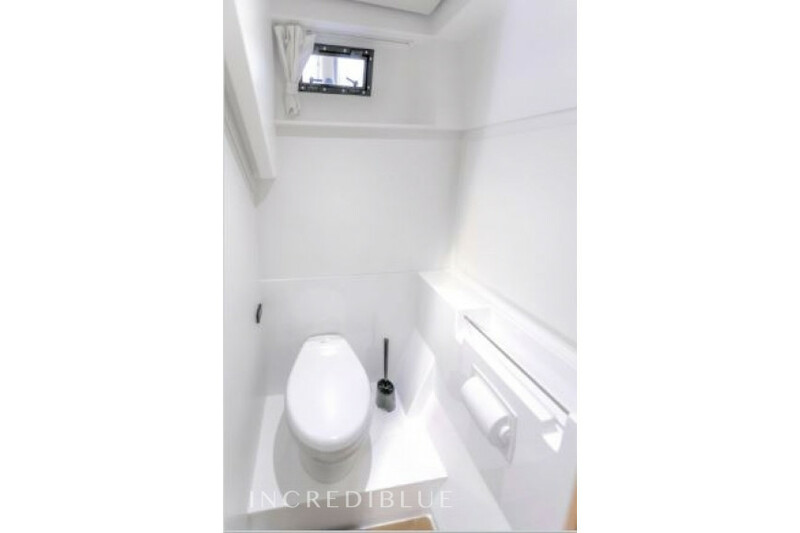 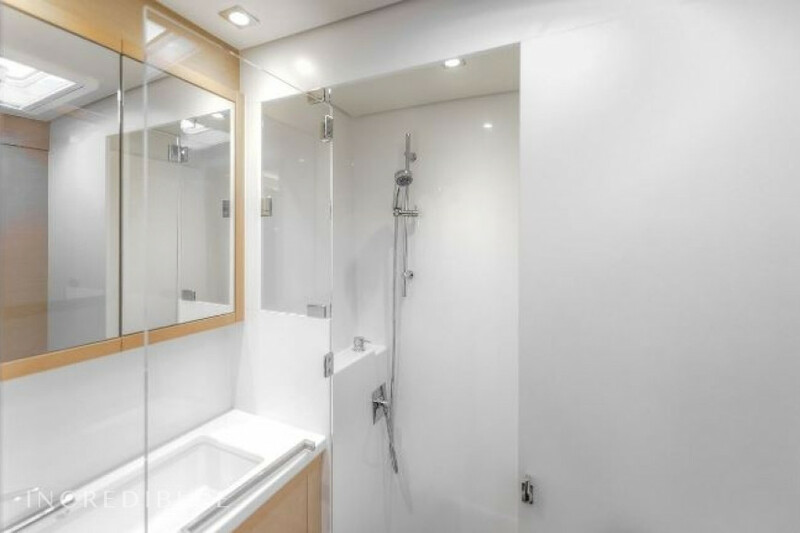 All cabins have private bathrooms. 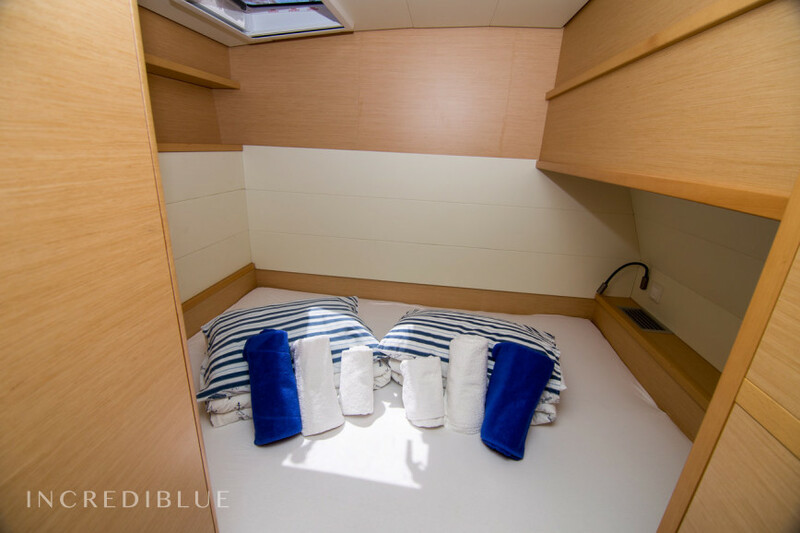 The crew has two cabins in the hulls of bow for comfort. 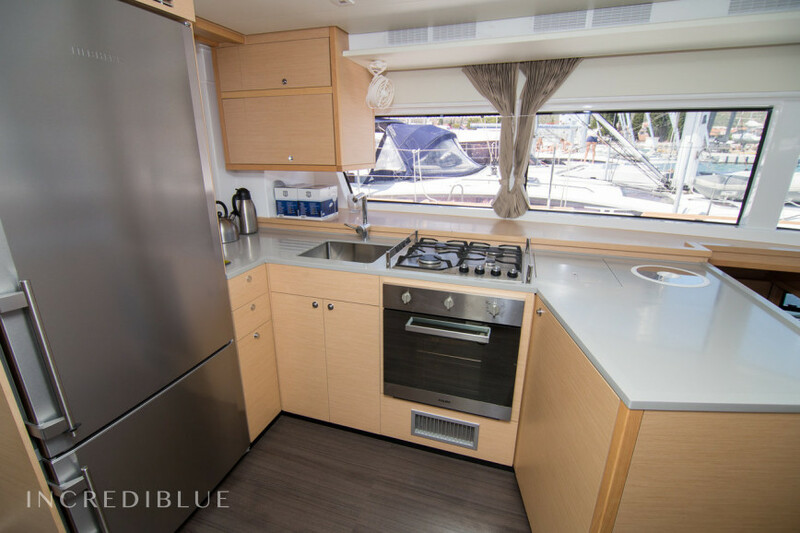 Model Lagoon 52 F - 6 + 2 cab. 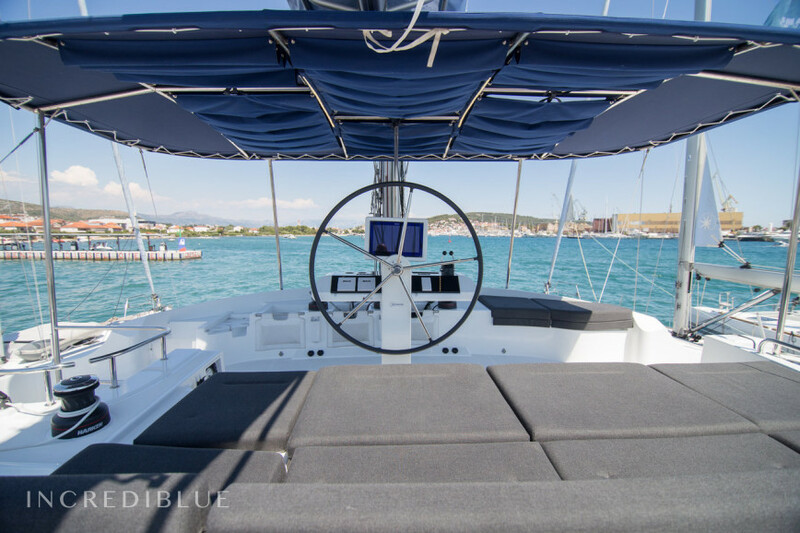 Engine power 2 x 80 H.P.